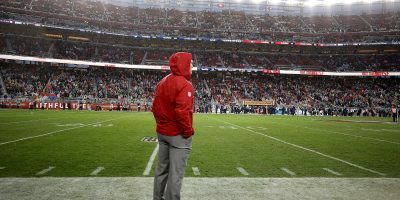 SANTA CLARA — The NFL’s business side was in full swing today as the 49ers traded away seventh-year favorite Parys Haralson and waived five players to trim their roster to 84. Linebacker Haralson has been traded to New Orleans for a conditional seventh-round pick in 2014, according to multiple team sources. 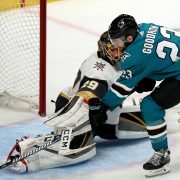 He was seen saying goodbye to teammates in the locker room prior to the start of Monday evening’s practice. Veteran No. 3 quarterback Scott Tolzien, second-year tackle Al Netter, second-year linebacker Joe Holland, rookie running back D.J. Harper, and rookie punter/kicker Colton Schmidt each received a visit from the Turk this morning. The team must cut down to 75 before Tuesday’s 1 p.m. deadline. All five are practice squad eligible if unclaimed on the waiver wire. With four quartebacks, Tolzien seems an unlikely practice squad candidate. Netter was on the practice squad last year and Holland was a final cut in camp before stints on the Dolphins and Buccaneers practice squads. 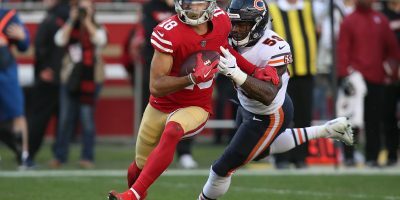 Harper became expendable after another solid game from second-year running back Jewell Hampton, who should land on the practice squad for the second year in a row. 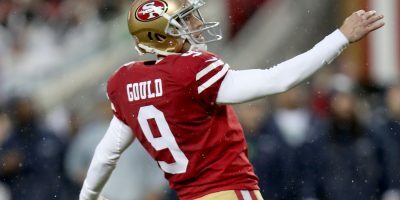 Of today’s cuts, only Schmidt would warrant a practice squad spot after a strong preseason in which he averaged 50.2 yards per punt and drilled all of his kickoffs into the endzone. Saying goodbye to some of the guys who have given you nothing but their absolute best effort is utterly brutal. 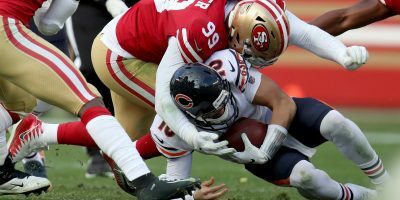 The 49ers have four All-Pro starters along with five solid backups and the talented Haralson – previously a starter who then spent 2012 on injured reserve – could step into a starting role vacated by injured outside linebacker Will Smith. Haralson – a solid pass rusher – looks like a solid replacement for him in defensive coordinator Rob Ryan’s 3-4 scheme. The 49ers play the Saints on Nov. 17. 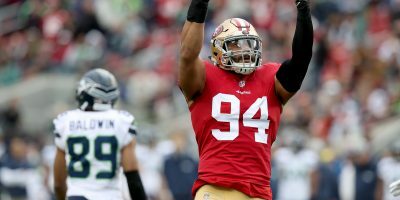 Lastly, defensive lineman project Lawrence Okoye hurt his knee in last night’s game against the Vikings and will not play on Thursday in San Diego. 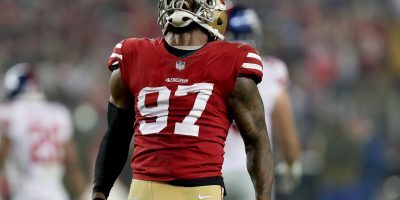 He certainly won’t make the 53-man roster, so his injury could work to his and the 49ers advantage as it’s now possible for him to be waived injured allowing him to be placed on the PUP list or injure reserve where he can still develop as a football player and not take up a practice squad spot. 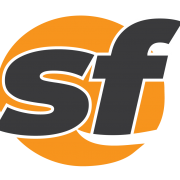 Follow @SFBay and @drewmorita on Twitter and at SFBay.ca for full coverage of the San Francisco 49ers.